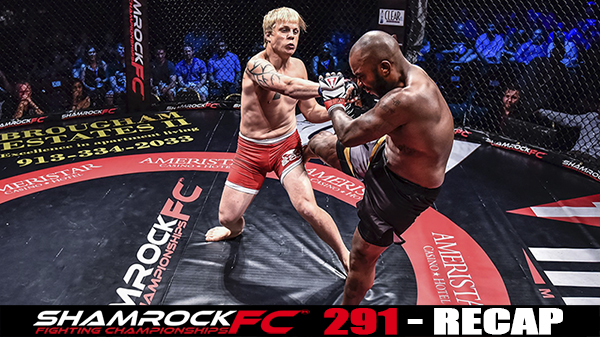 Reckless is a succinct a description of Friday's Shamrock FC 291. Fighters came out to bang and put on a show. The night was full of aggression and finishes but light on defense which lead to a quick undercard leading up to two three round battles on the main card. Despite an enthusiastic crowd, Shamrock FC President Jesse Finney was critical of the show as a whole. With Zak Bucia and Bobby Voelker's performance from SFC 289 in May still fresh in everyone's mind, SFC 291 had a tough act to follow. "Tonight we had a short turnaround from the last time we were here with two holidays in between," Finney said. "This show came upon us so quick. Our last 10 shows have been dynamite and this was not one of our better shows, and I will say that." 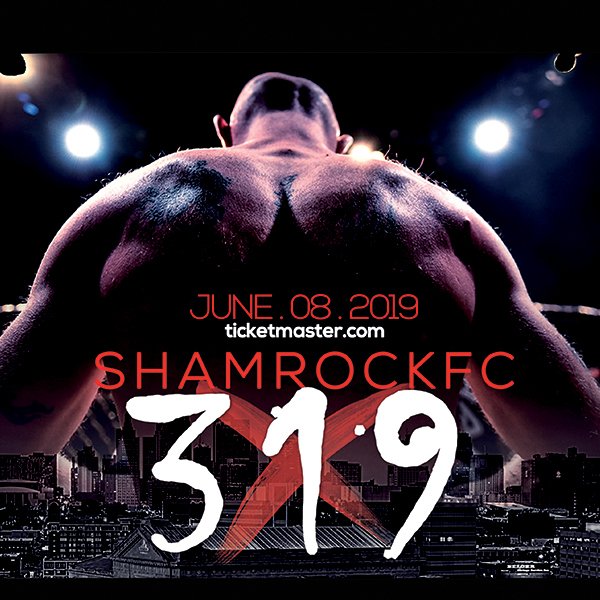 In the night's main event, Garrett Mueller returned to the Shamrock cage eager to wipe away the memory of March defeat at the hands of Steve Ngyuen. To do that he would have to put away submission ace Deron Carlis. With both fighters being Shamrock and Bellator veterans they came out looking measured and patient compared to the rest of the card. Each having scouted the other carefully knew the fight would be over quick if they weren't cautious. Early on Mueller chopped at Carlis with kicks low and high. A back and forth affair, with both Carlis and Mueller having the advantage at different points throughout the fight. "I took this fight on short notice and felt my wind wasn't where it needed to be," Mueller said. "I knew if I took him to the later rounds, that's where I thrive. Most people who aren't as tough as me fall apart when I take them to the later rounds and tear them apart. He threw some power but I knew I had some range, but I knew if I waited for him to throw with power I could hit him with combos and eventually pick him apart." Mueller was able to secure takedowns in the second and third, and by the final round, both were showing signs of fatigue. Both seemed to want to end the fight in the third as each launched haymakers in an attempt to finish it there. Neither was able to land cleanly and the fight went to Mueller as he improved to 4-3. "I got a pregnant girl at home, and she's going to need a lot of my time and attention," Mueller said. "If they give me a really good fight and a good 8-week camp, I'll be back. I want to fight the tougher fights I want to work my way up that ladder. I'm getting better every time I step into the cage. It's a new Garrett Mueller every time you see me." The Mike Doss/James Evans fight started with a bang. Both fighters saw no reason to touch hands to start the bout and each charged forward meeting center ring. "I kicked him in the belly and slid off to the side," Doss said. "I think maybe he had watched some videos on me and was prepared for it. From there we just went after it." Evans was able to get Doss to the mat off the charge as both men worked hard for position. Finally, they worked back to the feet where Doss has the advantage and charge in finished with knees and uppercuts. The no finesse approach worked for Doss who finished the fight with a TKO with just a minute left to go in the first. Doss representing the Caveman Crew in Raytown, improves to 3-2 with only his second fight since 2012. "Mikey Doss looked like he was shot out of a canon, that was like his second fight in 6 or 7 years," Finney said. "He had some ring rust, but hopefully he lets his hands go a little more because he hits super hard." Fight of the Night should go to Raul Romero and Matt Murray. A three-round wild striking match in which Murray used Muay Thai style of boxing and knees to punish Romero every time he closed the gap, but Romero was relentless pushing forward and gutted out the win. "These guys came out guns blazing," Finney said. "Raul and Matt Murray, incredible fight. That was one of the better fights I've seen. Not the most skilled guys in the world, but hey I'm a Raul fan, every time he fights he never puts on a boring fight. He's always in it. " Romero training with Rudy Bears at the Cavemen Crew gym showed grit and his relentless pursuit allowed him to get in close to score punches and swayed the judges for him to take the unanimous decision victory. "He's a pretty good fighter, he throws pretty good kicks. I feel the kicks and punches, but I no go back," Romero said. "I always go forward, never go back. I'm ready for anybody you know. I love fighting. I'm ready for everyone at 135 pounds. When Jesse call me I am ready for the next show." When "Sharknado" Gary Westphal couldn't escape the Thai clinch, Calen Born kneed his way to a TKO just 23 seconds into the first round. "The knees are something we worked a lot in practice," Born said. "I would spar with guys and throw knees, and then towards the end of rounds, I'd go for almost like a burnout with knees. I was pretty accustomed to throwing a high volume. I knew if I did get him in there and started working, the rest would fall into line like dominoes." The heavy handed boxer out of Brass Gym in Kansas City, Kansas notched his second straight first round finish. "I have a little bit of swelling on my knee right now (from his hard head), the crown is unforgiving," Born said. "I'm working on gaining an understanding better of what's going on in there as I mature as a fighter. That was my fourteenth trip to the cage through amateurs and kickboxing. I'm still trying to rein in my ability of what is going on in the immediate part of the fight. For some reason, all my fights only last 30 seconds, so that's kind of difficult. I'm trying to become more present if you will, instead of the smashing machine buzz-saw." In his pro debut, Anthony Goldfield finished off Charlie Bottom in the first round with a TKO. Johnny Eblen pushed the pace on Wayne Collier setting up a first round TKO at the one minute mark of the first round. In his first fight back since his buzz-worthy performance at Shamrock FC 285. Alan Vasquez nabs a first round TKO over Edmund Coley. Fans will remember Vasquez as the first man up after a spectacular double-KO that sent both fighters to the mat last March. 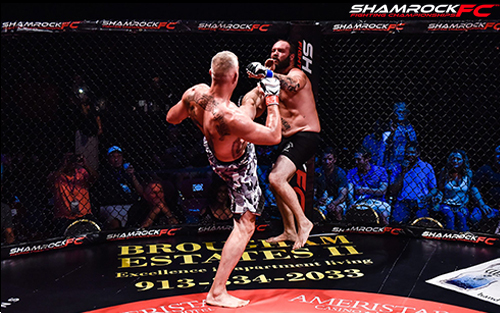 Shamrock FC returns to Ameristar KC on September 16.